Refresh your spirit and renew your look with a trip to Ocean Salon & Spa. 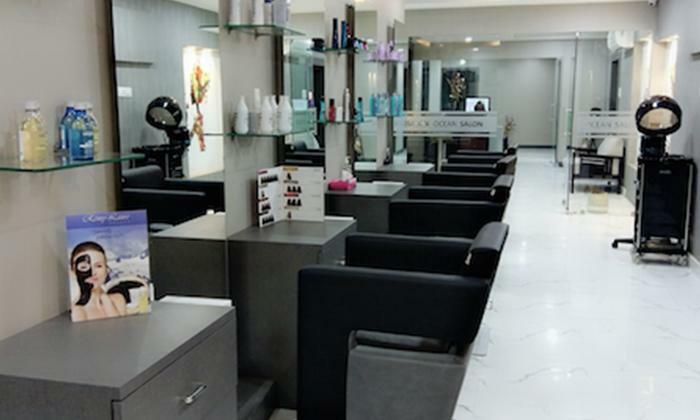 Located in Manikonda, Hyderabad, Ocean Salon & Spa is an upscale center that offers a luxurious spot to tend to your beauty and wellness needs. The center features elegant interiors that are fitted with the latest products and equipment and the staff offers qualitative services based on the requirements of the customer. A one stop destination to beautify and rejuvenate, Ocean Salon & Spa is just the spot to head to.